Early this week three fire engines from Cudworth, Barnsley and Tankersley stations were called to a fire where the a man died. An investigation has been taking place following the Barnsley house fire. The man, believed to be in his 60s, was the only person in the house on Woodhall Road, Darfield. When firefighters arrived the ground floor of the semi-detached house was well alight. Wearing breathing apparatus and using hose reels to extinguish the fire the crew tackled the blaze. A full investigation into the cause of the fire will take place today. To respond better in emergencies a fire brigade in Amsterdam has mapped the risks in the city by combining 600,000 objects such as buildings, railways and roads with possible incident types such as fires and traffic accidents. This allows them to build a risk profile of particular streets and understand the types of incident that are most common in particular locations and helps them to benchmark its performance against national standards. The team has also used the tool to reduce the chance of fire in certain areas. By analysing the data they found that 20 percent of all fires in the whole district were caused by unsafe cooking. 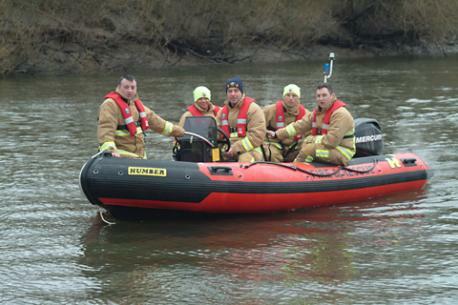 A £50,000 river rescue boat has finally been received by fire crews in Selby. Crew training has been continuing at Nottingham’s Home Pierrepoint National Watersports Centre ahead of the boat’s arrival. This was delayed after the original craft was found to be too small to be used in tidal rivers. 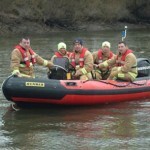 The boat was intended as a national asset which could be called into action around the country in times of emergency and both Red and Blue Watches at Selby Fire Station each have four members trained as coxswains. A watchdog has announced that a waste site in Wales which caught fire earlier this year and burned for over 10 days failed to meet environmental standards. The company A Lewis and Co, who’s site is based in Nantyglo, Blaenau Gwent said it believed the fire was started deliberately. Some waste that was moved onto nearby council land as firefighters attempted to tackle the blaze has still to be removed. Rhys Williams, speaking on behalf of A Lewis and Co, said the firm was in discussions with Blaenau Gwent council over who was responsible for the waste, which was now more expensive to remove after becoming waterlogged during efforts to tackle the fire. “Landfill tax is on weight. When it was on here – let’s say there were 400 tonnes of it – that 400 tonnes was soaked and doused by the fire brigade for a week and a half,” he said. Earlier this week a father helped rescue his disabled son from a house fire in a Northampton estate and is believed to have suffered burns to his shoulder. At 8.30pm on Tuesday night a number of properties in Arbour View Court, Thorplands, were evacuated after a blaze started in a two-storey house. It is believed that the father rescued his three children, two of whom have cerebral palsy, before firefighters arrived who then confirmed that the family managed to escape the house before emergency services arrived. Police have said a fire investigation is continuing and a cause of the blaze is not yet known.